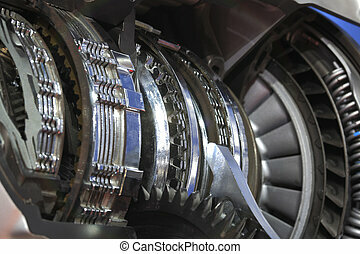 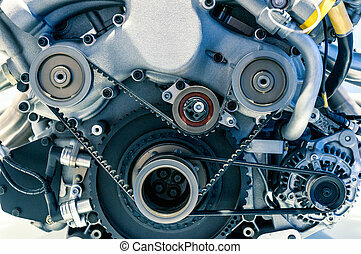 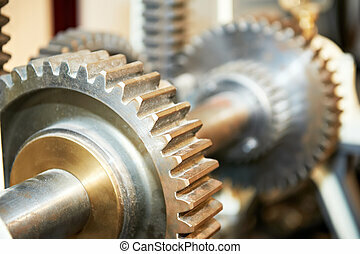 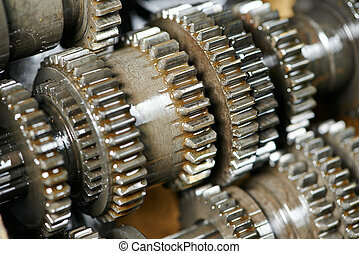 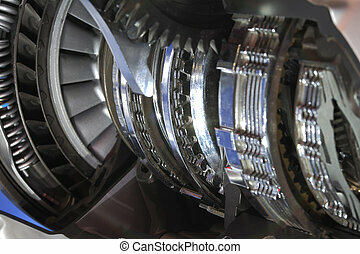 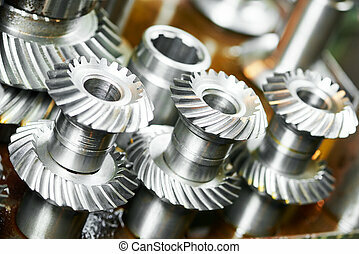 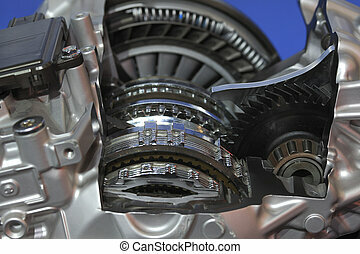 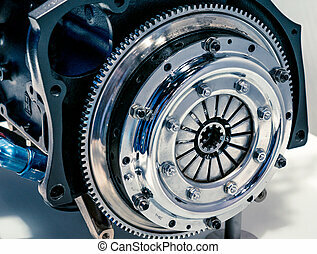 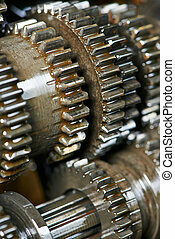 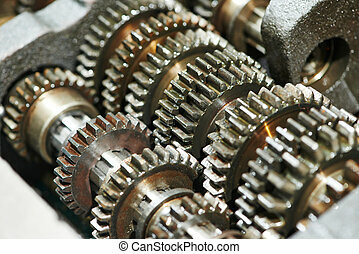 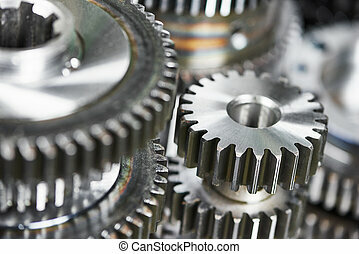 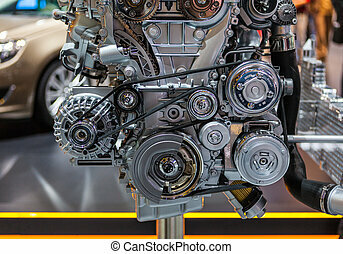 Close-up of automobile engine gears. 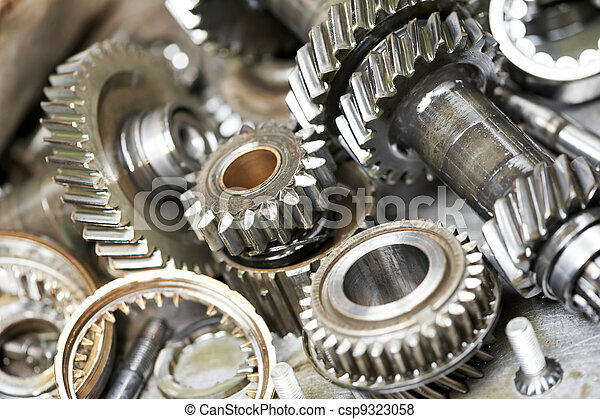 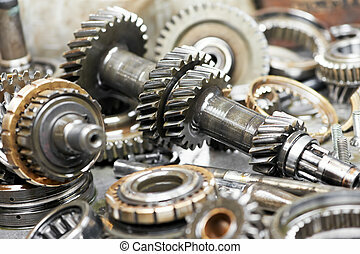 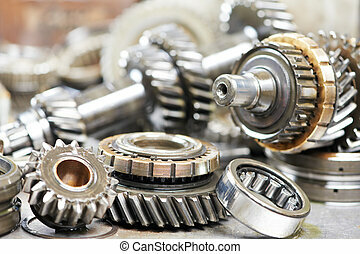 Close-up of automobile engine steel gears and bearings disassembled for repair at car service station. 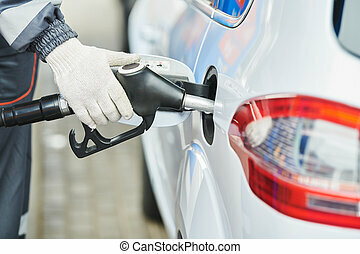 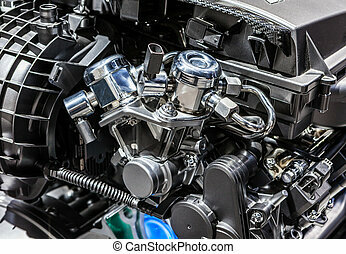 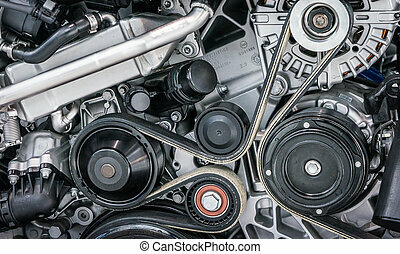 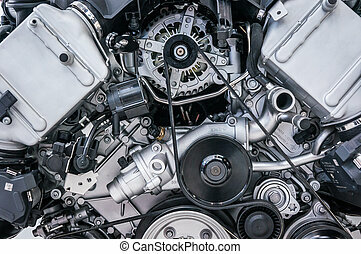 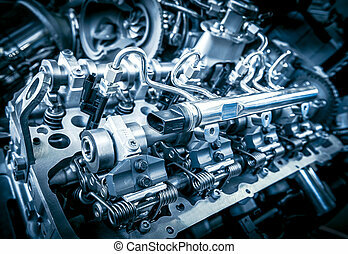 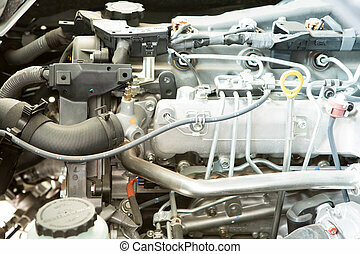 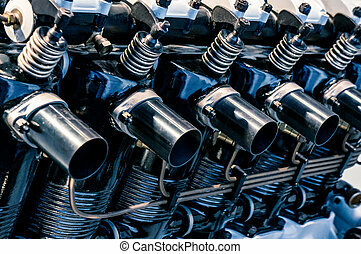 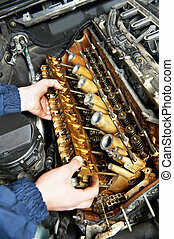 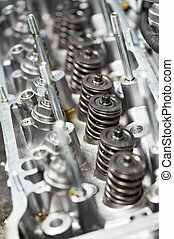 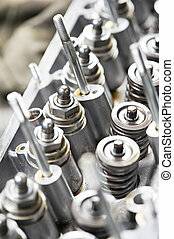 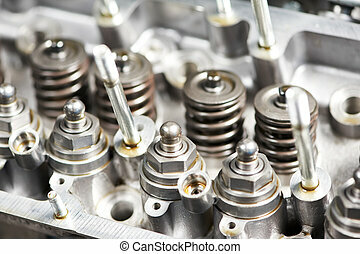 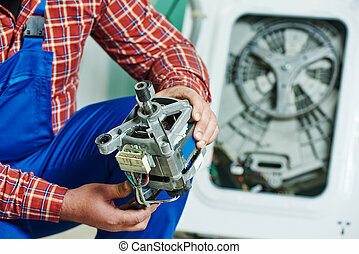 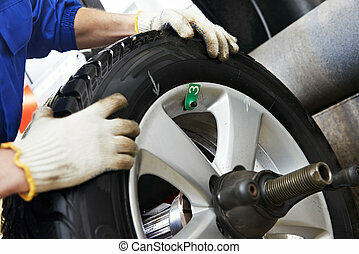 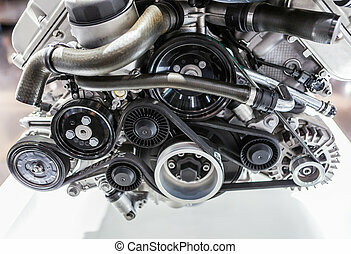 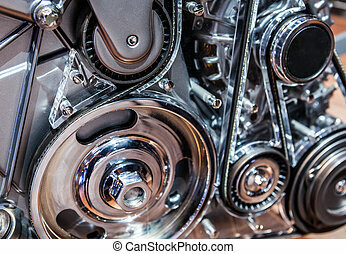 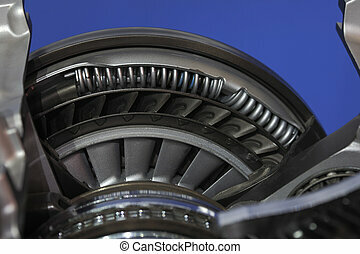 Close up shot of car engine.